Columbia, SC., a place rich in culture and experiences. We offer shows, festivals, arts, history, music and much more. Below you will find a list of local activities and events. Through December 15 – Hand Building Techniques at the Columbia Art Center. Learn hands on the basics of working with clay. For more information call (803) 545-3093 or visit http://columbiasc.net/depts/parks-recreation/hand_building_basics.pdf. Through December 20 – Dollar Sunday at Historical Columbia at the Gift Shop at the Robert Mills House. Residents of Richland and Lexington Counties can tour one of the historic houses (the Robert Mills House, the Hampton-Preston Mansion, or the Simms-Mann House) on the 3rd Sunday of the months for $1. For more information call (803) 252-1770 ext. 23 or visit http://www.historiccolumbia.org/events/dollar-sunday-admission. Through January 3, 2016 – “Military Cartography on the Western Front” at the South Carolina Confederate Relic Room. This exhibit includes original maps from WWI. For more information call (803) 737-8095 or visit http://www.crr.sc.gov/exhibits/Pages/upcoming.aspx. Through January 10, 2016 – “Independent Spirits: Women Artists of South Carolina” at the Columbia Museum of Art. This exhibit includes approximately 30 works created by women from around the State in a variety of art forms. For more information call (803) 799-2810 or visit www.columbiamuseum.org. Through January 10, 2016 – “Georgia O’Keeffe: Her Carolina Story” at the Columbia Museum of Art. This exhibit celebrates one of the most important female and art careers of American history and celebrates the 100th anniversary of this woman’s time teaching at Columbia College. For more information call (803) 252-7366 or visit www.columbiamuseum.org. Through January 22, 2016 – “Threads: The Story in Out Clothes” at the South Carolina State Museum. Learn about 200 years of clothing and fashion and what it tells us about the culture of that time. For more information call (803) 898-4921 or visit http://scmuseum.org/explore/exhibits/changing-exhibits/threads-the-story-in-our-clothes/. Through February 7, 2016 – “Carolina Makers” at the South Carolina State Museum. See what people in South Carolina are making, such as instruments, furniture, metal, even clothing. For more information call (803) 898-4921 or visit http://scmuseum.org/explore/exhibits/carolina-makers/. Through February 7, 2016 – “The Art of Joseph Norman” at the Columbia Museum of Art. For more information call (803) 799-2810 or visit http://www.columbiamuseum.org/exhibitions/art-joseph-norman. Through July 16, 2016 – “Heard at Every Turn: Traditional Music in South Carolina” at the McKissick Museum. Exhibit looks at the many cultural groups that brought music traditions to South Carolina over the years. For more information call (803) 777-7251 or visit www.artsandsciences.sc.edu/mckissickmuseum. Through July 16, 2016 – 12-Cent Kids Day at the EdVenture Children’s Museum. For the Museums 12th Anniversary, kids get into the Museum for 12-cents on the 12th day of every month. In addition, if a membership is purchased on that day and get 12 Chick-fil-A Kids Meals for free. For more information call (803) 779-3100 or visit http://www.edventure.org/calendar/calendar.aspx. Second and fourth Tuesdays through January 26, 2016 – Carolina Makers Music Nights at the S.C. State Museum. For more information call (803) 898-4921 or visit http://scmuseum.org/explore/exhibits/carolina-makers/. Saturdays – Classic Country Music Jamboree and Dancing at Bills Music Shop and Pickin’ Parlor on Meeting Street. Music will be performed by a band. For more information call (803) 796-6477 or visit http://www.billsmusicshop.com/. Daily until TBD – “Julius Caesar: Roman Military, Might and Machines” opening at the S.C. State Museum. Learn about one of the most technologically significant times in the history of mankind. For more information call (803) 898-4921 or visit http://scmuseum.org/caesar/. November 5 – Governor’s Cup Historical 5-Miler Road Race starting at the corner of Gervais Street and Main Street and ending at the Blatt P.E. Center on Wheat Street. For more information call (803) 960-6202 or visit http://www.carolinamarathon.org/Governors_Cup/raceinfo.html. November 5 – Day of the Dead Festival at the Tapp’s Art Center. Event will include a Mariachi band, arts and crafts, cultural activities, and more. For more information call (803) 988-0013. November 6 – Art Uncaged at the Devine Street Studios. Event presents contemporary artwork in a variety of media presented by the USC visual art and designs MFA students. For more information call (803) 777-0169 or visit http://artsandsciences.sc.edu/art/home. November 6 – 8 – Carolina Craftsmen’s Christmas Classic Art & Craft Festival at the South Carolina State Fairgrounds. Enjoy a weekend of viewing some of the most fabulous works of artisans and crafters from around the Country and get a head start on your holiday shopping. For more information call (336) 282-5550. November 6 – 15 – “Harvey” at the Village Square Theatre. Come learn about the outcome of one man’s imaginary friend, Harvey, a 6 ½ foot rabbit. For more information call (803) 359-1436 or visit http://www.villagesquaretheatre.com/. November 6 – 22 – “A Christmas Story” at the Town Theatre. Enjoy this entertaining story about a boy and what he will go through to get what he wants for Christmas. For more information call (803) 799-4764 or visit http://towntheatre.com/a-christmas-story/. November 7 – Story Book Ball at the EdVenture Children’s Museum. This annual event will provide an evening of magic, kings and queens, and lots of fun for both you and your child, with each child getting to take home a book of their own. For more information call (803) 779-3100 or visit http://edventure.org/calendar/detail.aspx?EventID=580. November 7 – Columbia Winter Jazz Fest at the Township Auditorium. This will be an enjoyable evening filled with great jazz entertainers such as Down to the Bone, Phil Perry, Maysa, and many more. For more information call (803) 576-2350 or visit http://www.thetownship.org/. November 7 – Chili Cook-Off in Five Points. This famous annual event includes local entertainment, craft brews, and over 50 varieties of chili to sample. For more information call (803) 748-7373 or visit http://www.fivepointscolumbia.com/events/Chili-Cook-Off. November 7 – Christmas Arts and Crafts Show at Lexington Middle School on North Lake Drive. View arts and craft from over 40 different vendors and get your Christmas shopping started early. For more information visit http://midlandcrafters.wix.com/christmas-craft-show. November 7 – Papermaking with Botanicals at the Riverbanks Zoo and Botanical Gardens. Learn about the art of papermaking and create your own unique paper using items of your choice. For more information call (803) 779-8717 or visit https://www.riverbanks.org/education/garden-programs.shtml. November 7 – “STITCHES Clean Comedy” at Booker T. Washington High School on the USC campus. Come out for some clean comedy and entertainment. For more information call (803) 845-2238 or visit http://www.cleannight.com/. November 7 – Kick-off for a Cure at The Zone at Williams Brice Stadium. Watch the USC vs. Tennessee away game while enjoying good tailgate food and beverages, with proceeds to benefit the Cystic Fibrosis Foundation. For more information visit https://carolinakickoff2015.eventscff.org/carolinakickoff2015/event-info. November 7 – 8 Repticon at the Jamil Temple. Enjoy a weekend of exploring vendors displays of some of the most interesting and fun reptiles, amphibians, sugar gliders, and other exotic animals. For more information call (803) 772-0732. November 8 – “Ralph Stanley II” at Bill’s Music Shop and Pickin’ Parlor. Enjoy an evening of entertainment by this Grammy award winning singer/songwriter. For more information call (803) 796-6477 or visit http://www.billsmusicshop.com/. November 8 – 9 – “The Illusionists” at the Koger Center for the Arts. The best-selling Broadway magic show has come to Columbia. For more information call (803) 777-7500 or visit http://www.kogercenterforthearts.com/event.php?id=121. November 10 – “Fabient Cousteau: One Ocean, One People” at the Harbison Theatre at the Irmo Branch of Midlands Technical College. Grandson of the deep ocean explorer, Jacques Cousteau, will share about his experience spending 31 days in an underwater laboratory living among the deep sea creatures. For more information call (803) 407-5011 or visit http://www.harbisontheatre.org/tickets-productions/fabien-cousteau-one-ocean-one-people. November 12 – “Hamlet” performed live at the National Theatre in London is broadcast at the Harbison Theatre. Benedict Cumberbatch, Academy Award winner, plays the title role in this Shakespearian tragedy. For more information call (803) 407-5011 or visit http://www.harbisontheatre.org/tickets-productions/hamlet. November 13 – Therapalooza at the Rockbridge Club. Live entertainment will include rock band, Bombshell, fire spinning by Soda City Cirque, with food and refreshments available, as well as a silent auction and more. For more information call (803) 787-3033 or visit http://www.eventbrite.com/e/therapalooza-2015-tickets-17621941702. November 13 – 15 – “Blithe Spirit” at the Drayton Hall Theatre. Hear about the story of an author who wishes to learn more about the psychic realm and ends up find himself in contact with his deceased wife. For more information call (803) 777-2551 or visit http://artsandsciences.sc.edu/thea/OnStage. November 14 – “Mike Epps: The Real Deal Tour” with special guest “Earthquake” at the Township Auditorium. For more information call (803) 576-2350 or visit http://www.thetownship.org/events/. November 14 – Midlands Holiday Extravaganza at the Wingate by Wyndam Hotel on Hwy. 378 in Lexington. There will be lots of local businesses represented, a silent auction, face painting, and even visits by former USC football players. For more information visit https://www.facebook.com/events/1649576501975497/. November 14 – 15 – Native American Cherokee Trail River Festival at 1800 12th Street Extension. Learn about the culture of these Native Americans to include storytelling, dance, music, and handmade items. For more information call (803) 366-1705. November 15 – “Free Parker Quartet Family Concert” at the Johnson Performance Hall at the USC Darla Moore School of Business. Enjoy an evening of entertainment by this Grammy Award winning group. For more information call (803) 777-4280. November 15 – “MOMIX: Botanic” at the Harbison Theatre. Explore the seasons through this illusionary masterpiece performed by this internationally acclaimed contemporary dance group. For more information call (803) 407-5011 or visit http://www.harbisontheatre.org/tickets-productions/momix-botanica. November 15 – Cola CD and Record Show at the Columbus Meeting Hall on Marion Street. There will be 30 tables of new and used items. For more information call (919) 260-0661 or visit http://musicalroots.net/. November 15 – “Beethoven & Blue Jean” by the S.C. Philharmonic at the Koger Center for the Arts. After the concert, there will be BBQ and beer available. For more information call (803) 771-7937 or visit http://www.scphilharmonic.com/. November 18 – 21 – “Blithe Spirit” at the Drayton Hall Theatre. Hear about the story of an author who wishes to learn more about the psychic realm and ends up find himself in contact with his deceased wife. For more information call (803) 777-2551 or visit http://artsandsciences.sc.edu/thea/OnStage. November 19 – Jingle and Mingle Holiday Market at the Greater Lexington Chamber and Visitors Center. For more information visit https://www.facebook.com/events/921310341267815/. November 19 – Vista Lights in the Vista area of Columbia. This favorite annual holiday “street party” will include live entertainment, food, and will allow patrons to visit the local stores after hours, while getting into the holiday spirit. For more information 269-5946 or visit http://www.vistalightssc.com/. November 20 – “Willie Nelson” at the Township Auditorium. Come out and see this famous country legend. For more information call (803) 576-2350 or visit http://www.thetownship.org/events/. November 20 – Wounded Warrior Amputee Softball Team at the Carolina Softball Stadium at Beckham Field. This will be a double header with the first game being against the USC Softball Alumni and the second will be against Local First Responders. For more information visit http://woundedwarrioramputeesoftballteam.org/?tribe_events=wwast-vs-columbia-local-first-responders. 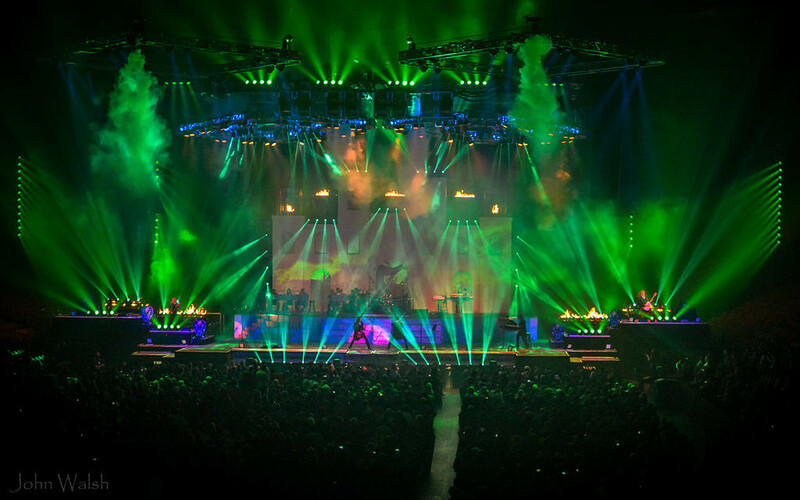 November 20 – “Trans Siberian Orchestra” at the Colonial Life Arena. Enjoy a show filled with holiday music, fabulous lighting, and entertaining fun. 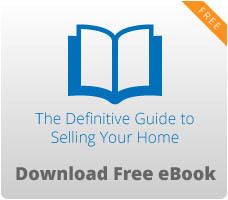 For more information call (803) 576-9053 or visit http://www.coloniallifearena.com/. November 20 – “Who’s Bad – The Ultimate Michael Jackson Tribute Band” at the Music Farm. For more information visit http://www.musicfarm.com/event/906247-whos-bad-ultimate-michael-columbia/. November 20 – 22 – Gem, Mineral, and Jewelry Show at the Jamil Shrine Temple. Register to win a 46 ct. Emerald Quartz Pendant valued at over $400. For more information call (803) 722-0732 or visit http://www.cgams.org/. November 20 – 22 – Festival of Trees at the Columbia Metropolitan Convention Center. Come out and see some of the most wonderful Christmas creations, all in support of the Palmetto Health Foundation to offer assistance to patients and their families in need. For more information call (803) 434-7275 or visit http://events.palmettohealthfoundation.org/site/Calendar?id=100161&view=Detail#.VjOmdyv7LWE. November 20 – 25 – Lights Before Christmas at the Riverbanks Zoo and Gardens. This must-see holiday event will fill you with the holiday spirit and has something for the entire family to enjoy. For more information call (803) 779-8717 or visit http://www.riverbanks.org/events/lights-before-christmas.shtml. November 20 – December 19 – “The Great American Trailer Park Christmas” at the Trustus Theater. Come out and enjoy this enjoyable holiday musical. For more information call (803) 254-9732 or visit https://trustus.org/page/home. November 21 – “Third Day: Lead Us Back” with “Brandon Heath” and “Warren Barfield” at the Township Auditorium. For more information call (803) 576-2350 or visit http://www.thetownship.org/events/. November 21 – “Scott Bradley’s Postmodern Jukebox” at the Harbison Theatre on the Irmo campus of Midlands Technical College. Enjoy this jazz pianist and his band as they perform a new rendition of 21st Century modern classics. For more information call (803) 407-5011 or visit http://www.harbisontheatre.org/tickets-productions/scott-bradlees-postmodern-jukebox. November 22 – South Carolina Oyster Festival at the Robert Mills House and Gardens. This event will include two stages of live entertainment throughout the day, so bring your chairs or blankets and plan to spend a day eating oysters and even non-oyster items at this fun event. For more information call (803) 252-2128 or visit http://www.scoysterfest.com/. November 22 – Junior Roller Derby at the Skate Station in Lexington. Come see what modern roller derby is all about and support our local young skaters. For more information call (803) 665-2765. November 22 – “Hits on the Big Screen” by the Lake Murray Symphony Orchestra at the Harbison Theatre. Enjoy listening to these fabulous musicians play tunes from all your favorite movies. For more information call (803) 400-3540 or visit http://www.lmso.org/. November 22 – “Russell Moore & IIIrd Tyme Out” at Bills Music Shop and Pickin’ Parlor. Known as the International Bluegrass Music Associations male vocalist of the year, this is a concert you don’t want to miss. For more information call (803) 796-6477 or visit http://www.billsmusicshop.com/.